For decades, the European Integration process has been a role model for regional integration in other parts of the world. It served as a symbol for peace and freedom, stability, economic recovery and the implementation of democracy and human rights. But in recent years, it seems as if the European Union (EU) is unable to stop the crisis mode. 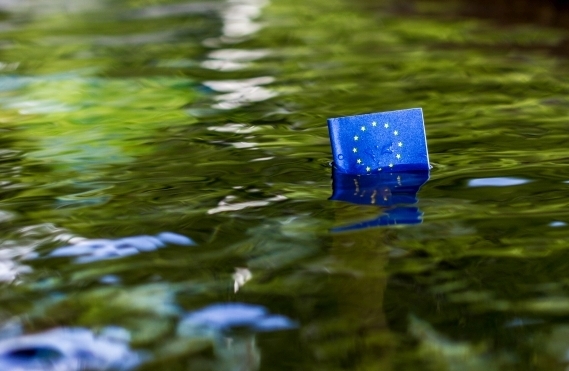 The EU had to face unknown challenges with the impact of the global financial crisis in 2007, the weak financial and economic status in several countries in Southern Europe, along with growing poverty and unemployment. Those developments were flanked by a rising number of refugees trying to enter the EU, an overall disagreement on the joint European refugee and migration policy as well as other geopolitical challenges like the Eastern Ukraine conflict. The close fight for solutions comes hand in hand with a growing identity crisis, with its peak after the historical vote of Great Britain to leave the EU. Right wing populists are gaining popularity in nearly all countries of the EU while the nationalist intentions of single member states are emerging, too. Facing these challenges, the EU seems to be essentially occupied with itself. Especially the Brexit negotiations will probably make way for an EU mainly struggling with its own problems for a longer period of time. Apparently, the impact of European policies on other world regions and global cooperation seems to be lost out of sight. But the EU remains an important player in the international arena, whether in trade relations or international development cooperation or in security related issues the negotiation of international conventions, for example within the field of climate change. What are the consequences of a weakened EU for those international processes? Will seeking solutions to long-term challenges, for example implementing the Agenda 2030 or the Paris Climate Agreement, be put in the waiting line beyond current crises? What are the impacts of the European crises for other countries and regions, especially in countries of the „Global South“? What is their reaction? Specifically asked, what are the ramifications of the upcoming Brexit and the European refugee and migration policy for countries of the „Global South“? Those and other questions will be discussed with European and international panelists from politics, civil society and academia. Ummu Salma Bava on the European crises seen from an Asian point of view"